Goose Feather & Down Double Duvet 10.5 Tog From Litecraft. Go to bed happy from now on with this wonderful luxury double duvet! 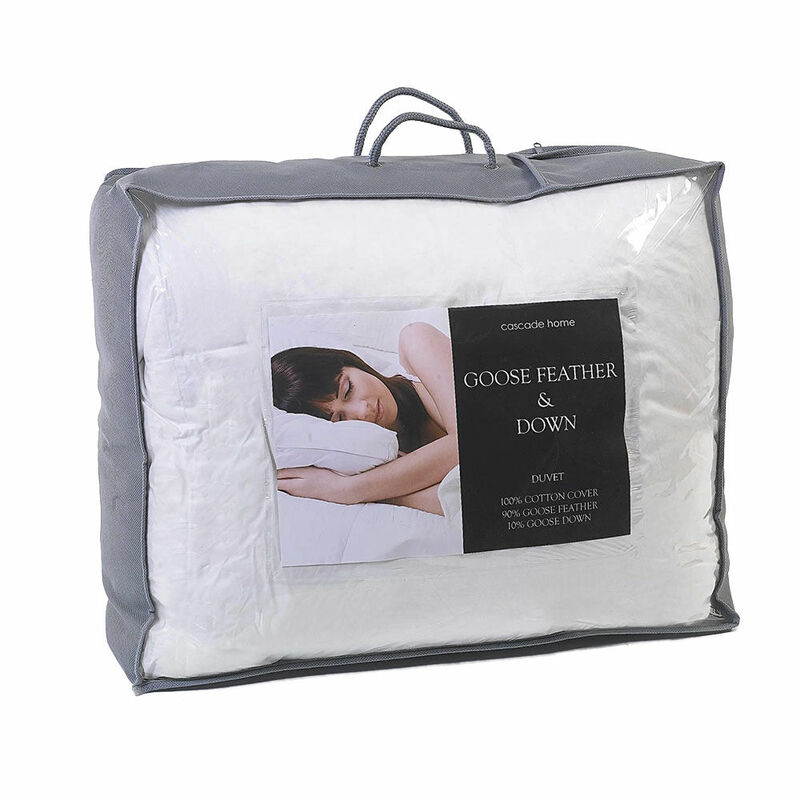 This Goose Feather & Down Duvet Double Duvet is a 10.5 tog duvet which is perfect for keeping you warm on those cold winter nights. This luxurious duvet is stuffed with a mixture of goose feather and goose down to provide you with the soft and comfortable feel, whilst also utilising the insulating qualities of the feathers and down to keep you warm and cosy. This duvet is finished with a 100% cotton percale cover, meaning it has a soft and soothing touch at all times to keep you comfortable.